Weddings are most important in the life of every person. Every young girl dream about that day. They all want to look perfect and amazing on the most special day of their lives. Everyone want to look like queen of the day. 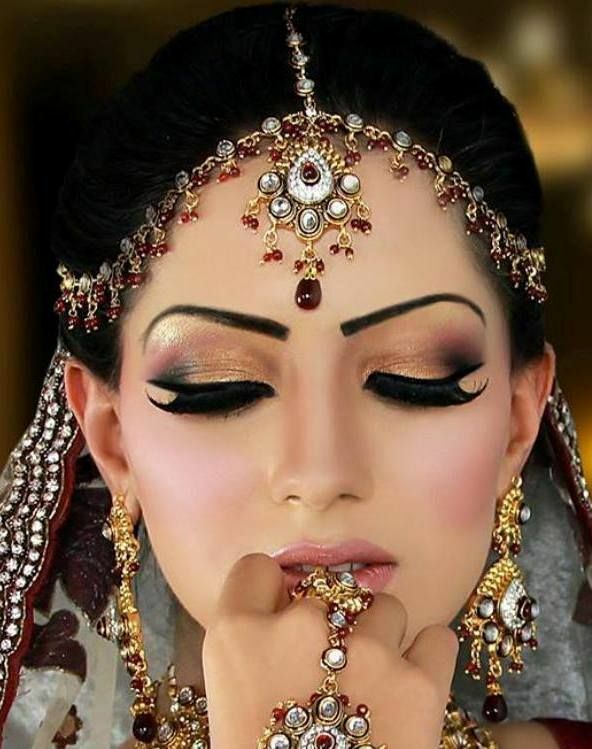 Mehndi is very important function in the wedding. 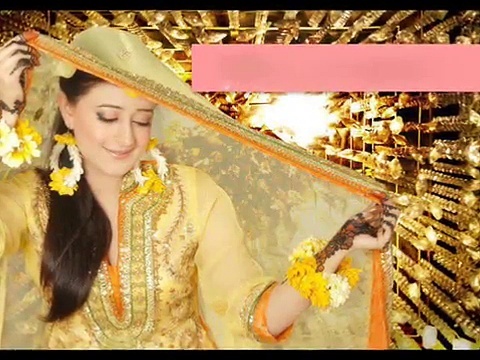 On mehndi function, girls make special preparations, they all like to get beautiful matching choorian along with beautiful stylish shoes. 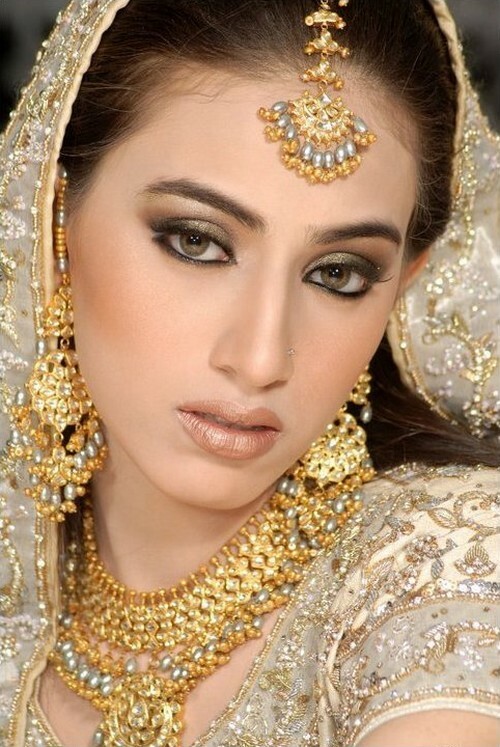 Matching gold or artificial jewelry is also an essential element. 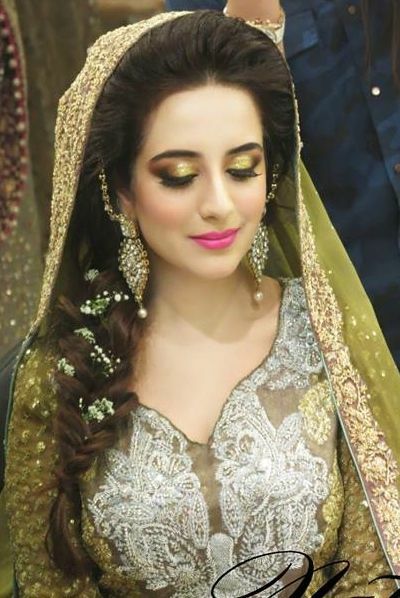 Every girl wan to look beautiful and different so they choose best parlor in the city to get their make over done. 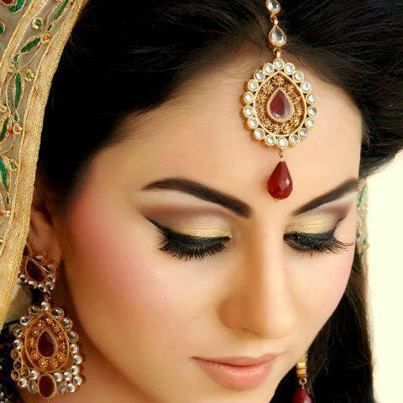 Eye make up is most important face of over all make over. 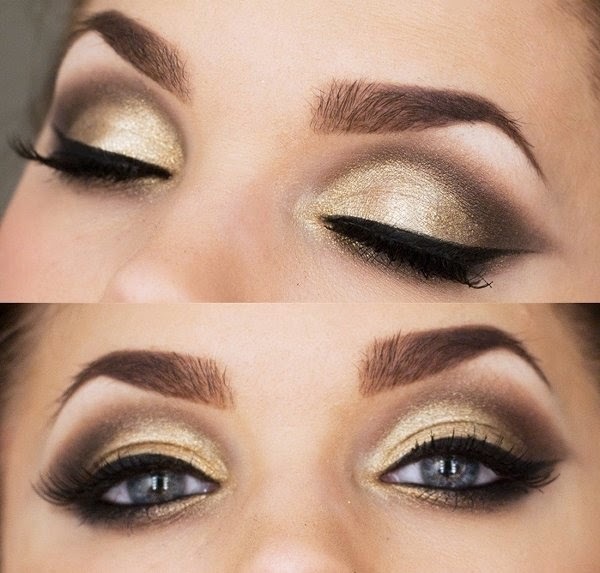 Girls like to experience with combination of different colors to do their eye make over. 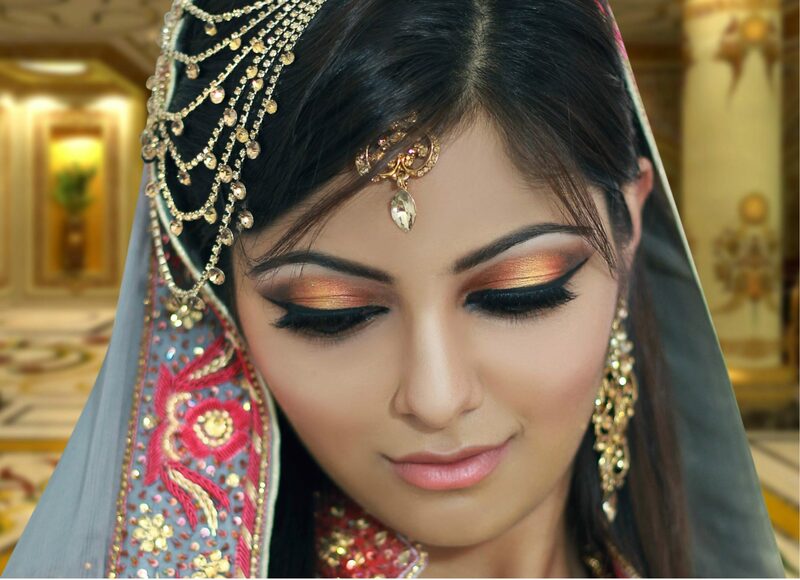 Usually for mehndi makeup, light and smooth eye make up is preferred. 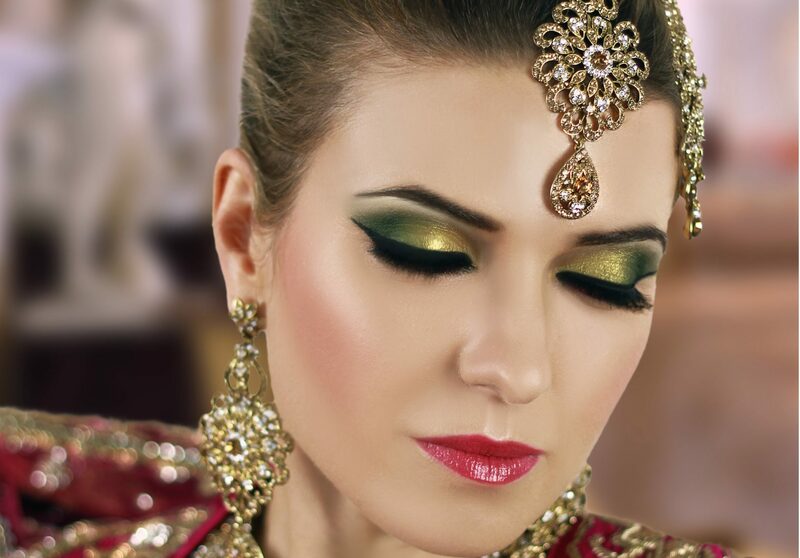 Mostly chosen shades are golden, light pale and green color with shimmer and glitter effect. 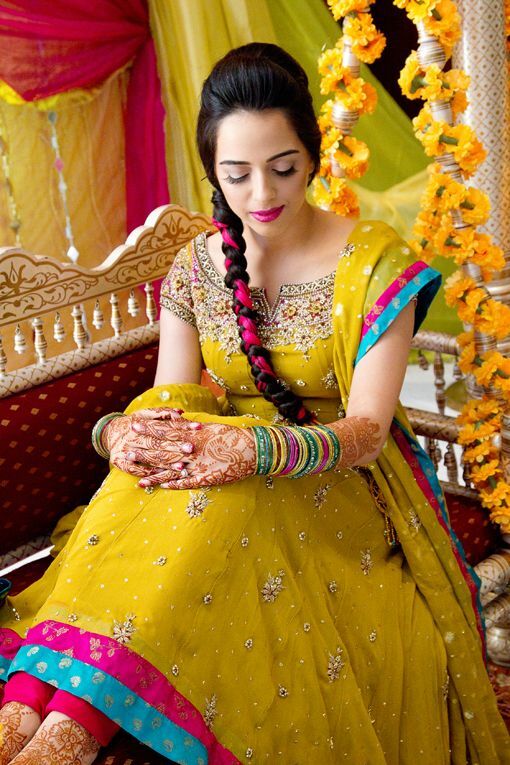 On Mehndi function, girls enjoy a lot and it is the only function where they are allowed to have lots of fun and entertainment. They stay awake whole night so make over should be done in a way that can stay longer than night. Usually girls start eye make up with primer. Cleanse your eyes, apply little quantity of primer, even it out with the help of your finger tips. It will help out to hide dark circle and black skin around your eyes and also it will really help to sustain your make over for longer period of time. 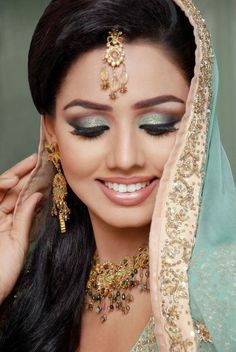 For mehndi function, smooth and natural make over is done so that girls look innocent and they can also get completely different look on barat. 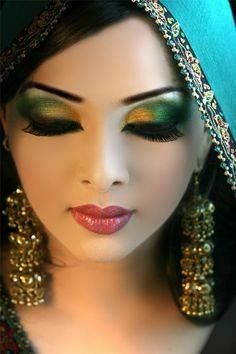 While applying eye shadows , go light as excessive amount of eye shadows powder might end up giving fake effect. 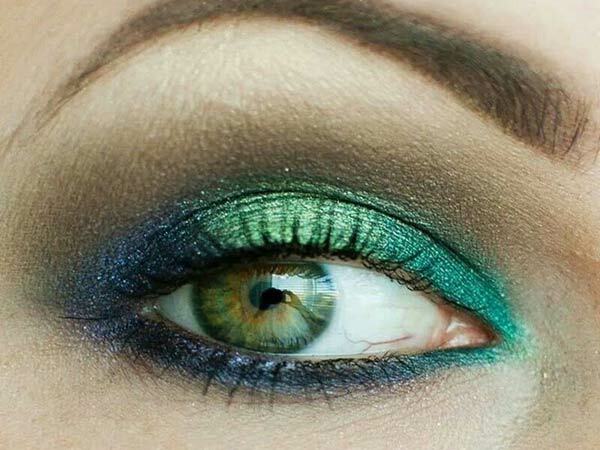 Then apply eye liner, you can chose silver, white or green color eye liner to get more dramatic and vibrant look. Then final step is curling your eye lashes and then use highlighter to highlight your eye bone. 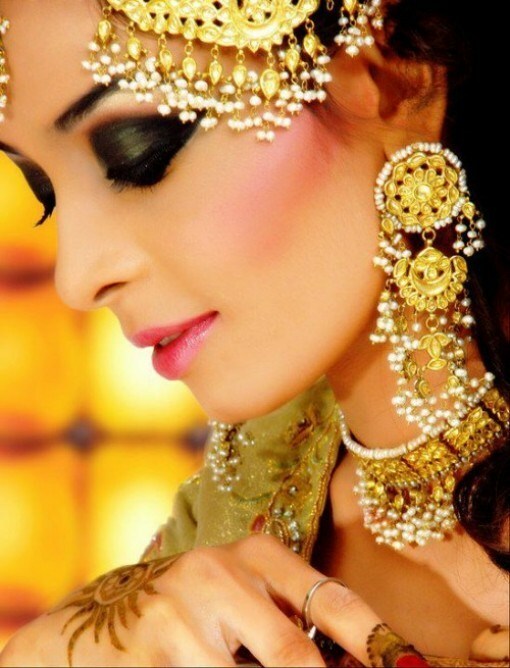 Hope you will look beautiful and enjoy all the mehndi functions you attend.